A seemingly minor glitch in Texas’s Compassionate Use Program could allow approved organizations to grow, process, and dispense low THC cannabis oil soon, but it may also keep patients from being able to purchase anything from the (at least) three dispensaries once they open September 1, 2017. The problem with the law, which was signed by Governor Greg Abbott in 2015, is all in the wording: The bill requires DPS to create a secure registry of physicians who treat epilepsy for the purpose of prescribing low-THC cannabis to patients who have been diagnosed with intractable epilepsy. Most state medical marijuana programs specify that doctors should “recommend” medical marijuana for the patient or “certify” their eligibility, but because marijuana is listed by the DEA as a Schedule I substance —a class reserved for drugs that have no recognized medicinal use and have a high propensity for addiction —doctors are not legally able to “prescribe” marijuana as Texas regulations stipulate. A prescription is defined as “a written order, in particular by a physician, for the preparation and administration of a medicine or other treatment.” The logic goes that a drug that is not seen as medicine under federal law excludes it from being prescribed. The Texas Department of Public Safety (DPS) does define a marijuana “prescription” as it relates to the Compassionate Use Act, but doctors are still bound to the rules relating to prescriptions. The current definition of a prescription as an “entry in the compassionate use registry” does not satisfy physicians who may be worried about losing their license over the matter. The Marijuana Policy Project (MPP) and the National Organization for the Reform of Marijuana Laws (NORML) both agree that the wording, as it stands now, makes it just about impossible for doctors to recommend cannabis legally. The program regulates the production and sale of low-THC, high-CBD medical marijuana, and three dispensaries are already awaiting approval, but having no actual patients would give them little incentive to begin operations. 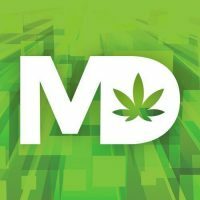 The DPS began accepting applications for growers and processors on Thursday and will continue through March 23, 2017, but until someone changes the definition of a prescription to fit the current legalese, there could be no one to buy the products by the time those approved dispensaries flip the open sign on their doors. According to some sources, Texas DPS is not yet responding to inquiries regarding the Bill and its fickle wording. Though the Compassionate Use Act was signed into law in 2015, the Texas legislature left it alone for two years while they delayed access to the low THC, high CBD oil to develop the rules of the program and a registry for doctors, patients, and dispensaries.